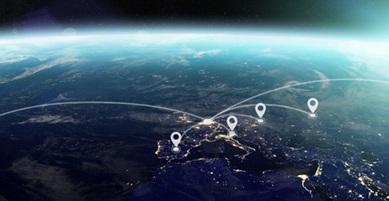 Small and medium-sized companies often need secure, reliable access to the Internet as well as allowing mobile employees or branch offices to connect to the company headquarters. This VPN router is the ideal choice. It connects to any DSL or cable modem, whichever Internet connection is available at the site. 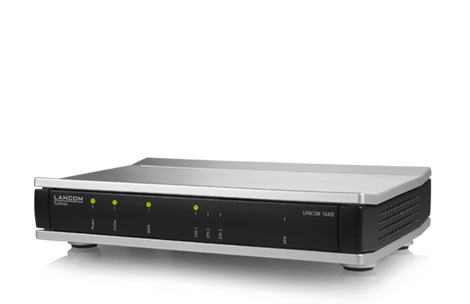 Thanks to three integrated IPSec VPN channels, the LANCOM 1640E offers secure encryption for the link to the company headquarters. At the same time it provides mobile employees with secure access to internal company data. 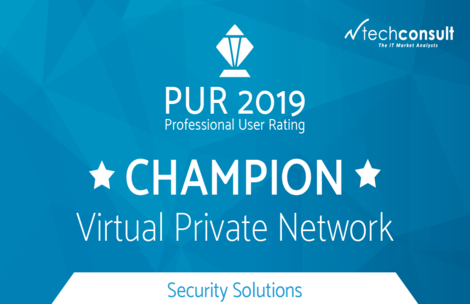 By the way: LANCOM VPN solutions were once again awarded the title “Champion” in the category “Professional User Rating: Security Solutions” (PUR-S). The LANCOM 1640E is a business VPN router that connects to external modems via the Gigabit Ethernet port, providing highest independence from the available Internet lines at the site. Equipped with a stateful inspection firewall, the LANCOM 1640E protects the entire network. This business router provides optimal protection against threats from the Internet with features such as intrusion prevention and Denial-of-Service protection. 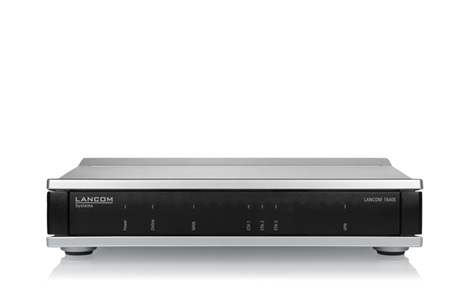 The LANCOM 1640E provides two securely isolated IP contexts, each of which has its own separate routing. This is an elegant way of operating IP applications on different networks while managing them on one central router.